All birds, even single are instinctively driven to the nest. 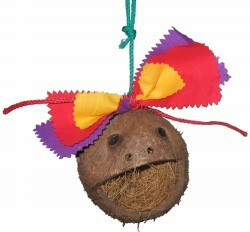 Small birds love to nest inside the coconut. Large birds love to build a nest with the coconut fibers. Can be used as a foraging challenge.